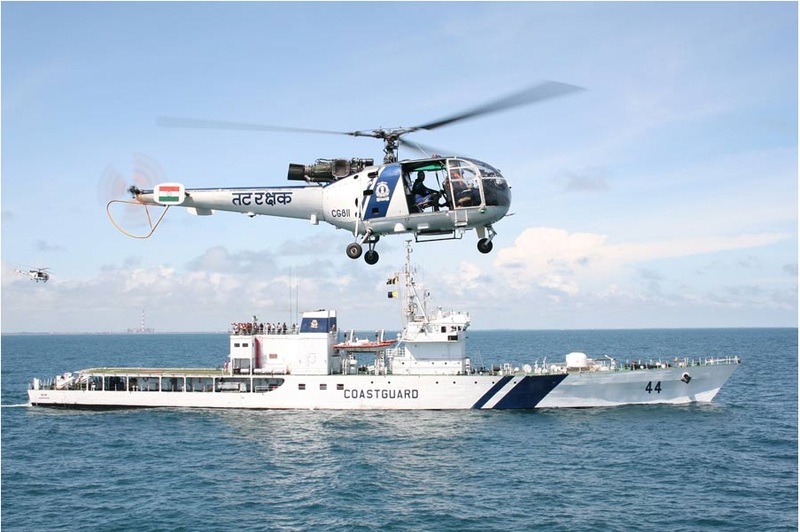 Indian Coast Guard today celebrates it's 39th Birth anniversary. The Coast guard formally established same date in 1978, with the mission of securing Indian waters, and work closely with state maritime police and customs departments. The CG comes under the Indian Armed forces controlled by the Ministry of defense. 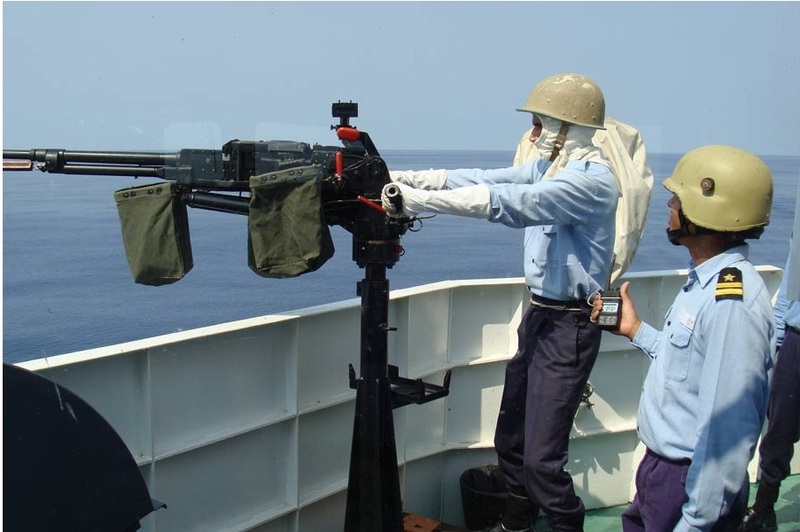 The Coast Guard also have responsible duties to secure the Indian Contiguous zone and EEZones. The coast guard almost revamped after the 26/11. After 26/11 new procurement's and additional manpower also a new operating procedures too drafted. Later that Mumbai attacks the Coast Guard jointly worked with Indian Navy to thwart many incidents both from China and Pakistan. The Coast Guard commuted work inside the safe zone, where Navy can work more widely to identify foreign threats. The CG has a huge formation of ships, with 2000 tons heavy Samarth Class offshore patrol vessel's. and older generation Samar Class OPV's. The CG aims to having more than 150 ships along with 100 aircraft's before 2020. Currently CG has nearly 100 Ships which include Interceptor Boats and Major OPV vessels. CG has a manpower of more than 11,000 personnel's. The CG also having fixed wing surveillance aircraft like Do 228. The New procurement plans which include newly ordered L&T designed OPV's. each reported having more than 2000 Tons, Pipavav also building fourteen new Fast patrol vessels, and another five OPV's. CG also negotiating to purchase 12 ton multi role helicopters for broader range of maritime sear and rescue and Surveillance missions. 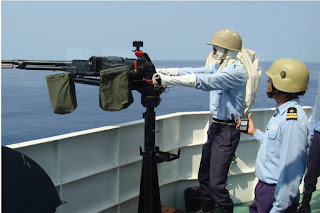 Mostly the CG ships has more surveillance and rescue equipment, however less fire power, Most of the OPV's having only 30 mm cannon as main gun, and having no other defensive systems except some 12.7 mm or 7.62 mm Heavy machine guns. The navigation and surveillance systems are in top class for SAR missions and Patrol missions. CG also operates eighteen modern Hover crafts made by UK firm Griffon, Known as best in his category. Most of them are built in Kolkata based GRSE under Transfer of Technology. Those Hovercraft's can assist the CG to conduct operations close to shores and Islands. In India, more than 2,50,000 lakhs of Fishing boats and trawlers, where more than one lakh of them go to sea everyday. It's the Coast Guard's duty to verify and clear to sail, However checking all of them everyday is not possible, CG issued color codes to Fishing boats depend upon his category to identify the vessel, whether it's Indian or Foreign. In coming years CG will gets each and every boats data by installing transponders and GPS receivers, So they can be easily traced on a regular basis. The CG also uses it's airborne platforms which comprises of nearly 38 Do 228 maritime surveillance planes, and 20 other light helicopters. However the numbers may increase in future.